When “Art of Almost” kicks off with what sounds like a high wind on an open microphone over a shuffling beat and a bubbling synth, it’s reasonable to think we’re heading back to Yankee Hotel Foxtrot territory. But the song that follows is, while not straightforward in its arrangement, a catchy, maybe even hummable tune. When the words run out, guitarist Nels Cline takes over, stretching a phrase tautly over is ambient background until the clouds burst around minute six. That’s a pretty good indication of what the rest of The Whole Love is about. Jeff Tweedy continues to meld his melodic sensibilities with his band’s capacity for strange noises and unusual choices. If Wilco (The Album) was the band tempering their experimental nature into something more accessible, The Whole Love refines that approach and showcases the full range of Wilco’s considerable abilities. “Art of Almost” runs just over seven minutes to open the album, and the twelve-minute marvel “One Sunday Morning (song for Jane Smiley’s boyfriend)” closes it. In between, the longest track is four minutes and three seconds. There is little fat on this album. Everything makes sense structurally, thematically, or melodically. Even “One Sunday Morning” is engaging all the way through. There is no chorus to speak of, just a sturdy verse and melody structure for the first eight minutes, and a story strong enough to carry it. The coda is like the closing credits to a satisfying movie. Tweedy also seems to be inviting more Beatles comparisons. “Capitol City” is a jaunty, McCartney-easque pop song that includes muffled transmissions, a la “Yellow Submarine.” “Sunloathe” is his “Because.” There are flourishes of classic 60s sounds all over the album, most notably on “I Might,” which features a happy organ sound that would be right at home with the Spencer Davis Group. Gently arpeggiating acoustic guitars are at the core of “Black Moon” and “Rising Red Lung,” and they would sound fine in just that sort of arrangement. But with this particular group of players, how could they make music that was anything but sonically dense? Even the lighter songs are layered. There’s always something lurking in the background – a pedal steel sweeping, the vibrato of a Fender Rhodes, atmospheric guitar. 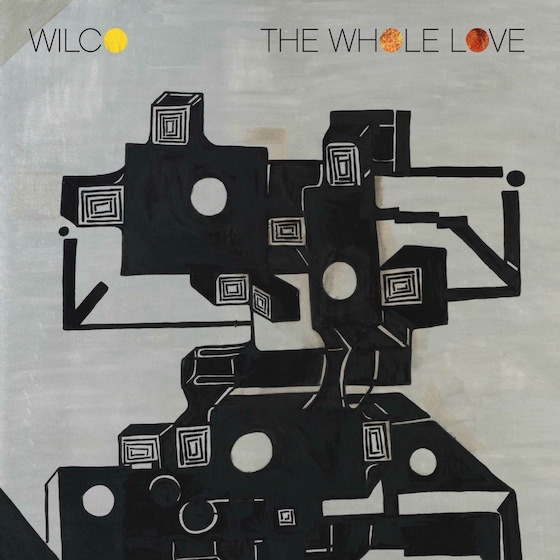 The Whole Love is the first release on Wilco’s dBpm Records, and it’s a hell of a start.